Pretty shades of sage and purple bring the floral design in this room alive. Light filters through 3 large windows and sliding glass doors that open to the first-floor deck; there you have your own table and chairs to sit on and enjoy the acres of farm views. 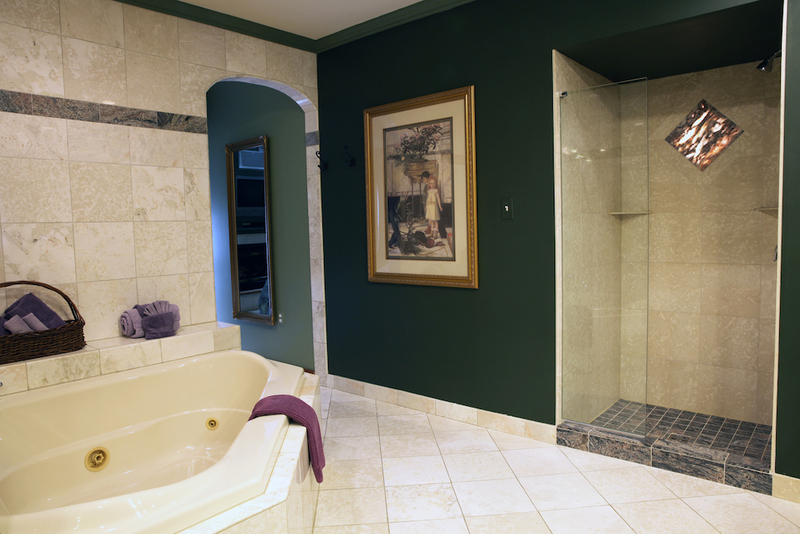 The Grapevine’s bathroom is stunning with more light shining through a custom designed shower and Jacuzzi. 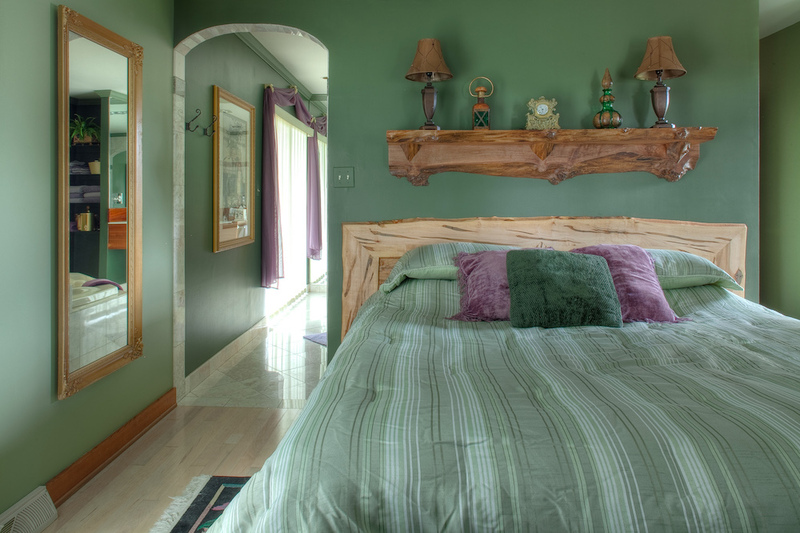 The headboard and shelf were custom made locally and have a live wood edge. Just lovely! 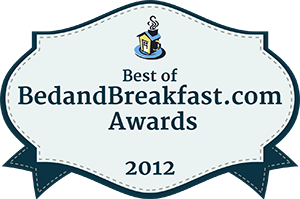 Your B&B is a hidden treasure. My husband and I enjoyed the quiet and seclusion of the Grapevine Room. Very Romantic. Every Space is beautifully decorated and immaculate. Twin Pine Manor is a hidden gem. Greg & I loved our stay and can’t say enough good things. The grounds, rooms, common areas and breakfast are out of this world. Thanks for making us feel extra special. We will be back. It is a beautiful, exquisite place and we enjoyed every part of it. The ambience is superb. We recommend it as a place to experience for anyone. We loved our room-the Grapevine. Thank you for all your warmth of heart, your kindness, the freedom you afforded us to enjoy ourselves and all the amenities here. Thank you for a fantastic, worthwhile experience. 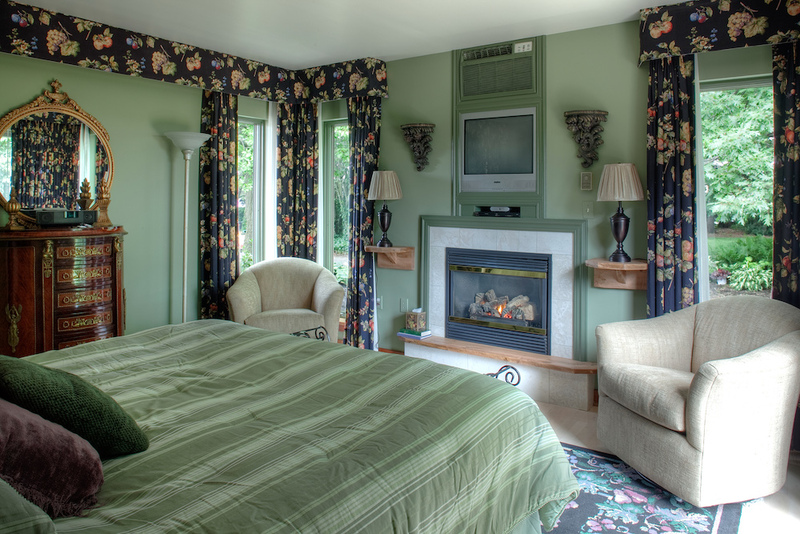 We love the Grapevine Suite. It is very spacious and comfortable…another great room! 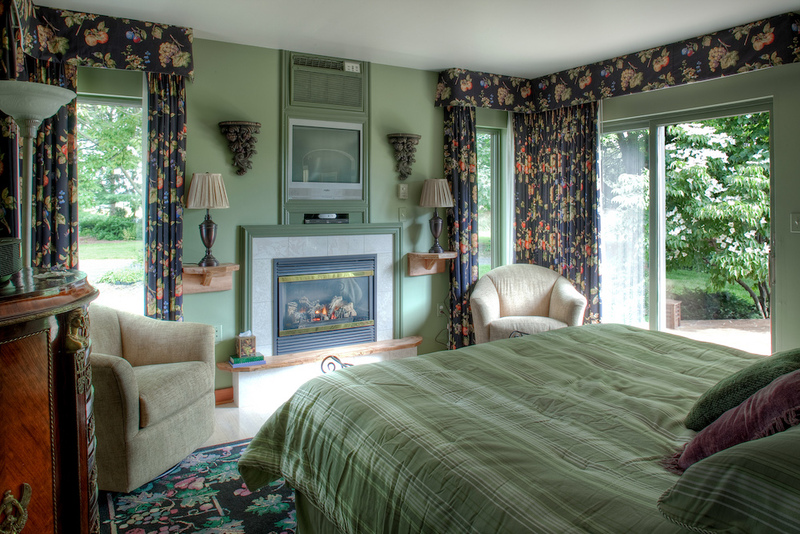 The Grapevine Suite is a first-floor corner room with a pillow top king size bed and gas fireplace. 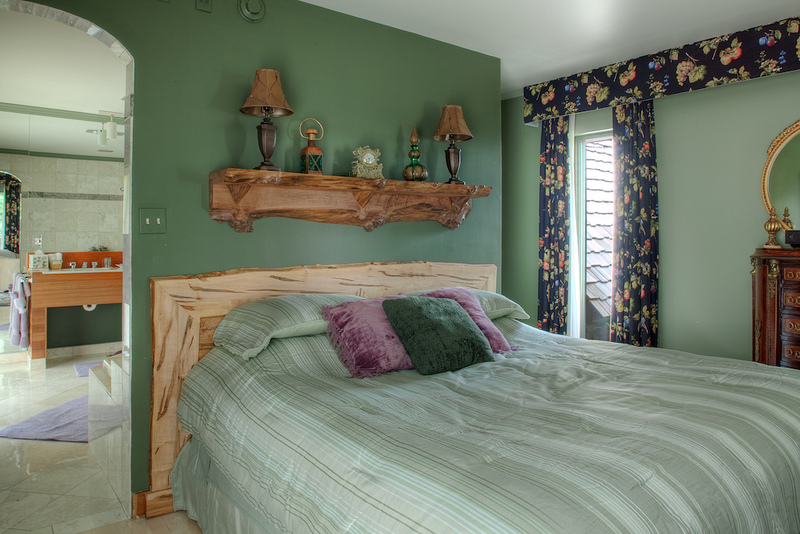 It has bright and inviting garden decor, a mirrored bath with Jacuzzi and double sinks. Guests enjoy the scenic countryside view of farmland from this room’s patio deck.